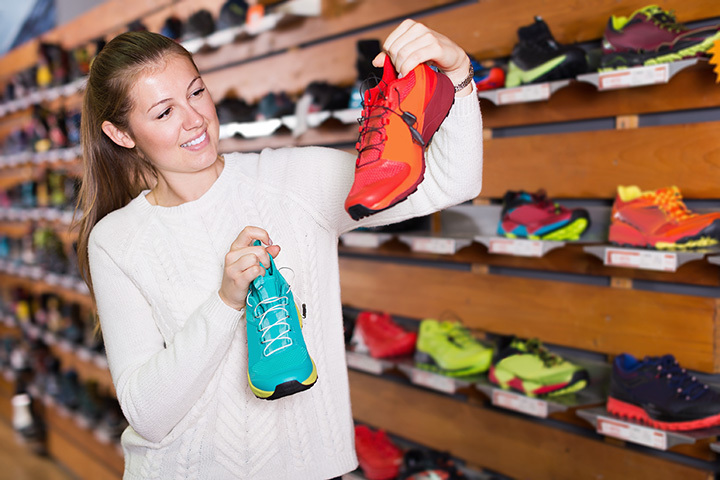 The 10 Best Shoe Stores in Utah! When looking for shoes, you can’t go just anywhere. The experience at a locally-owned shoe shop is rich in character. You know you’re helping out a local business and you’ll likely find better shoes than you were planning to buy in the first place. Here are our favorite local shoe stores in Utah. Opened in 1940, Modern Shoe is a family-owned and operated business located in historic downtown Provo. Even though the company now has a website, Modern Shoe has mostly stuck to its roots and prioritizes what it calls “old fashioned values.” As tempting as ordering your shoes online can be, there is something delightful about trying on shoes in a physical store and taking part in a Utah tradition. Known for its comfortable footwear (with everything from brands like Keen and Birkenstock to Chaco and Dansko), Modern Shoe is a place for the practical shoe lover. Located on Salt Lake City’s busy Highland Drive, Chandler’s Walk Shoppe sells both men’s and women’s footwear, with a selection not unlike that of Modern Shoe in Provo. Customers swear by Chandler’s Walk Shoppe, not only because of its shoes, but because of its amazingly attentive customer service. Chandler’s Walk Shoppe prioritizes taking care of its customers over everything else. Everyone knows that it’s hard to find the perfect shoe. Even though a pair of shoes may technically be the right size, that doesn’t mean it will fit well, and it certainly doesn’t mean you should buy it. The owners of Oxford Shop recognize the variability of their customers’ feet, and center much of their business on making sure their customers’ shoes not only fit, but that they fit well. Located in downtown Salt Lake City, the charming shoe shop is also a great place to find shoes that can be worn in the restaurant business. With locations in Orem, Layton, Ogden, Sandy, and Murray, Forever Young Shoes started with one location in 2002 and the goal of providing Utahans with fun and trendy shoes at low prices. Now, the store is a Utah shoe-shopping staple, especially for those interested in keeping up with the latest shoe styles. Based in Salt Lake City, KURU Footwear is an up-and-coming brand that makes most of its sales online. There is, however, a KURU showroom in Salt Lake City, where you can test out their shoes and buy a pair for yourself. Independently owned, KURU believes shoes should be comfortable, stylish, and versatile all at the same time. Odds are you’ll be impressed not only with the look of KURU’s shoes, but with their quality. For some, shoes are more than a necessity, but an artistic passion. For the owners and lovers of FICE Gallery in Salt Lake City, this is definitely the case. Salt Lake City’s premiere sneaker and clothing boutique, FICE Gallery sells the coolest (and newest) sneaker designs from a range of big name and small name companies. This is the place to buy those limited edition, designer Nike sneakers that you won’t be able to find anywhere else. Very similar to FICE Gallery, the Doused Shop sells a range of brand name shoes for the most passionate sneaker enthusiasts. The Doused Shop is well on its way to Salt Lake City shoe shopping stardom. Even if you’re not looking to buy a new pair of Nike, Adidas, or Jordan sneakers, Doused also offers sneaker cleaning and restoration services, and sells a range of enticing apparel. Board of Provo is best known for its selection of snowboard, longboard, and skateboard gear, but it is also popular amongst Utah Valley college students for its shoe selection. Selling all kinds of sneakers, but mostly those geared toward skateboarding and similar sports, the Board of Provo is a great local shop to support if you’re looking to buy some new shoes. Very similar to Board of Provo, the Directive Boardshop in Logan sells all things skate and snow, in addition to hip, youthful, California-inspired apparel and shoes. Selling shoes from brands such as Adidas, Nike SB, Supra, Vans, Volcom, Emerica, and more, this is another solid spot to get the perfect pair of summer skating sneakers. A one-of-a-kind, laid-back, minimalist boutique, Soel has become a favorite Provo shopping spot since it opened in 2005. Geared toward women, the boutique sells beautiful dresses, blouses, and designer jeans, along with plenty of other tempting items. In the past few years, however, Soel’s shoe repertoire has become one of its main attractions. With a selection of darling shoes from Free People, Saltwater Sandals, Mia Anja, and other brands, the boutique attracts all sorts of stylish customers.